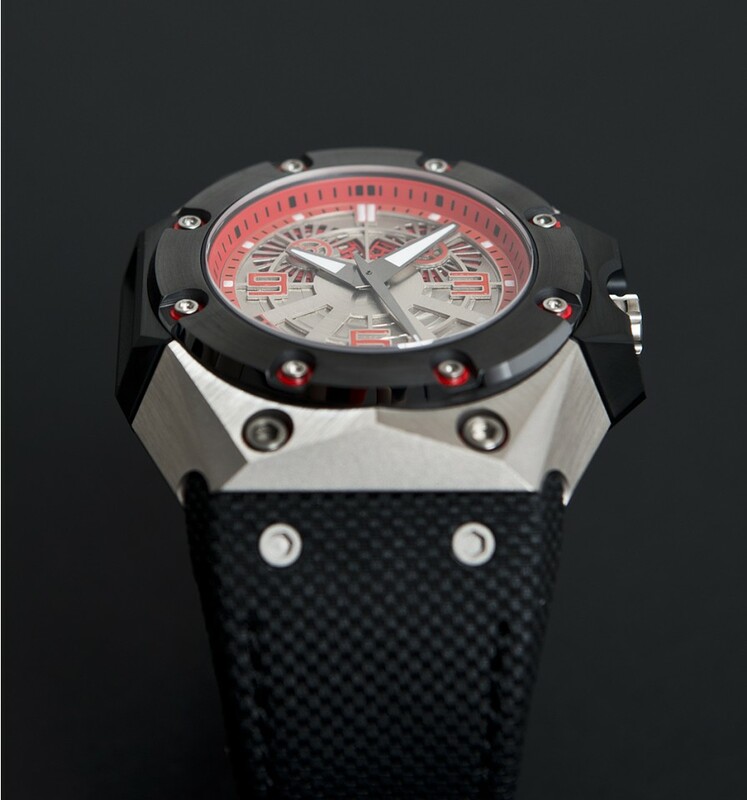 Individually crafted in satin-finished titanium with two attachment units at 3 and 9 o’clock treated with a black DLC (diamond-like-carbon) coating, and a black ceramic bezel to offer superb scratch resistance, the Oktopus II Titanium Red features Red accent on the dial and a big date in double wheels, powered by a highly finished Dubois Dépraz custom-made automatic movement for enhanced readability. 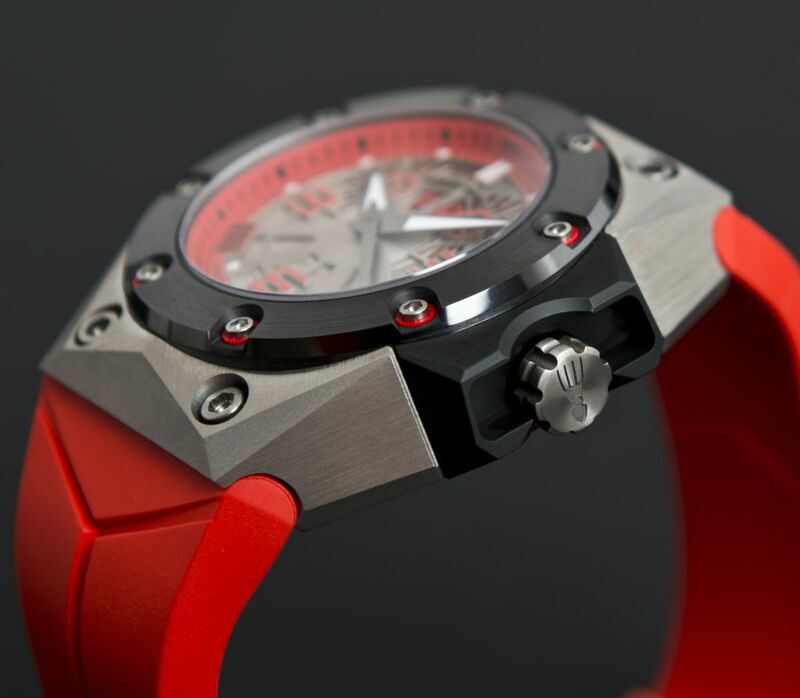 The Oktopus II – Double Date has been developed with the Reef, LINDE WERDELIN’s proprietary diving instrument, in mind and its construction has been inspired by all the equipment available in the Denmark Lab for dive-testing both the Oktopus and the Reef. 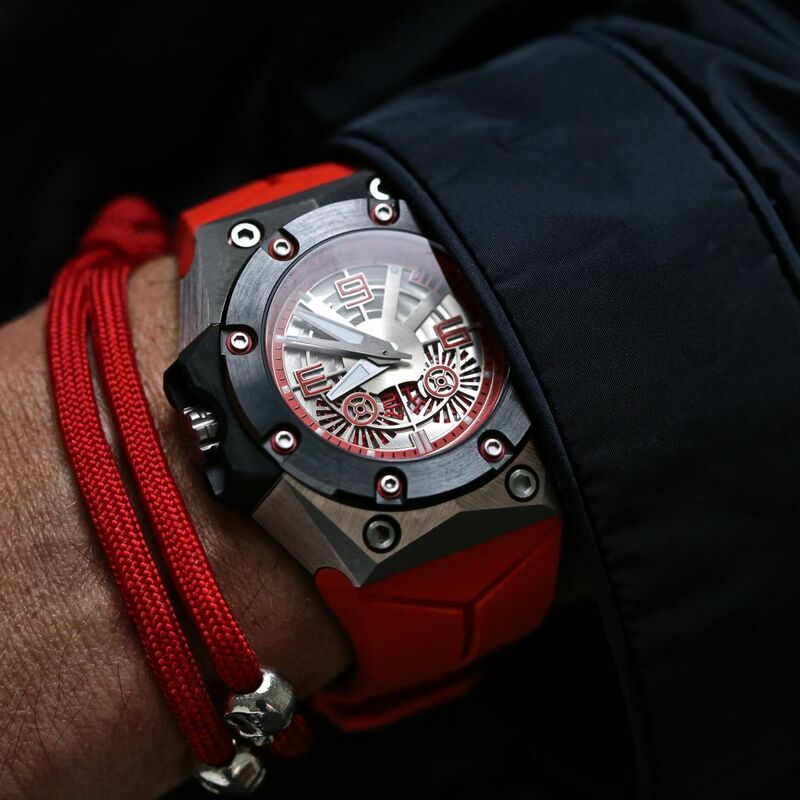 “The completion of the Reef and development of the Oktopus II case construction has granted us an unrivalled diving expertise and further confidence to develop a contemporary dive watch while enjoy experimenting with innovative combinations of materials and colours.” says Morten Linde. 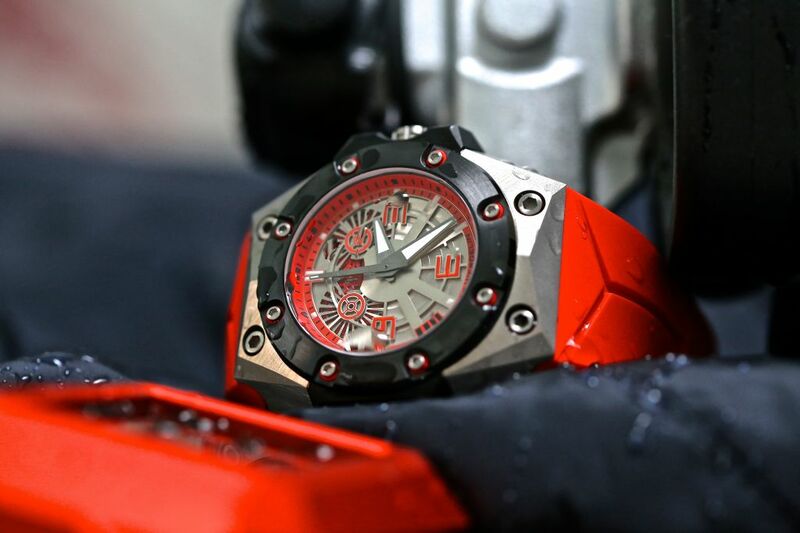 Oktopus II Double Date Titanium Red features a five-part case construction to ensure absolute water resistance and excellent anti-corrosive protection given by the finest materials employed, such as titanium and ceramic. 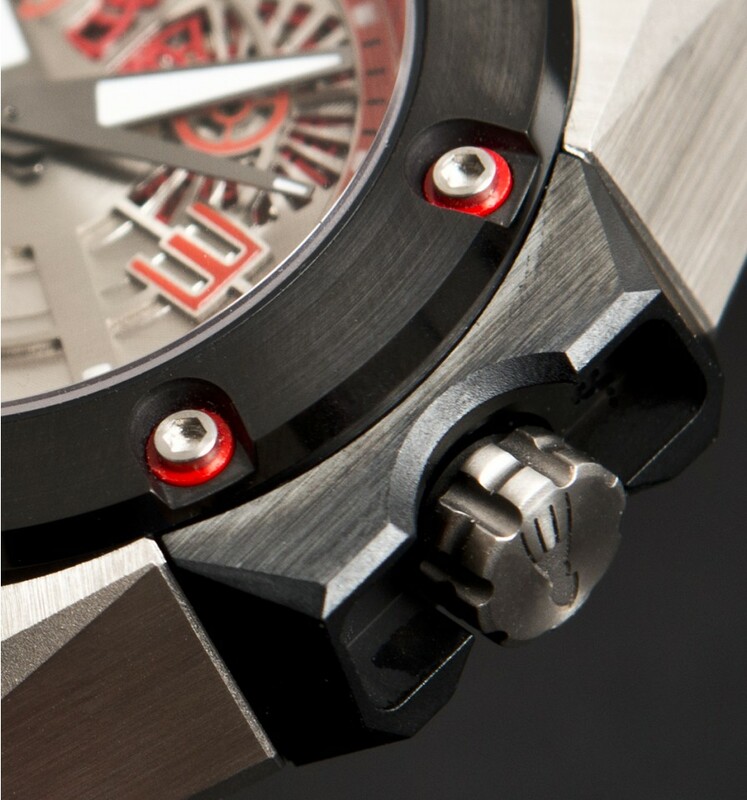 The case features a central movement chamber and four case parts assembled together with 16 screws. 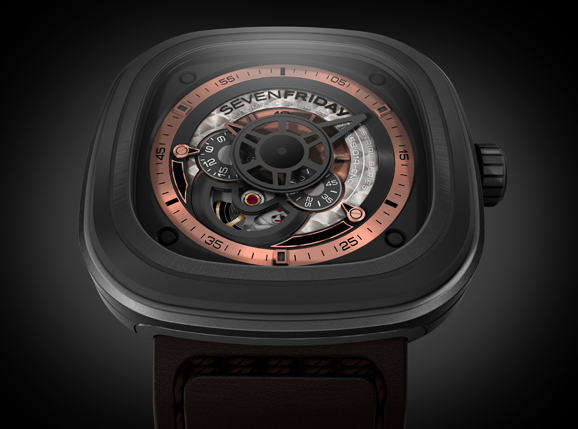 The four case parts at three, six, nine and twelve o’clock, are built separately from the movement chamber and are used to attach the strap as well as to hold the attachable instrument. 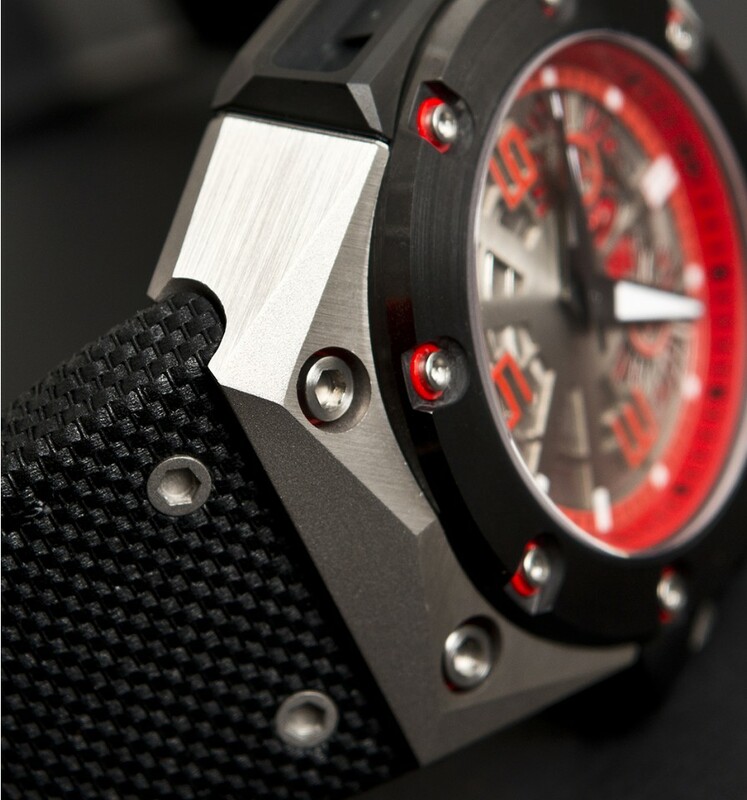 The titanium case body has undergone a rough satin finish to achieve the masculine appeal. 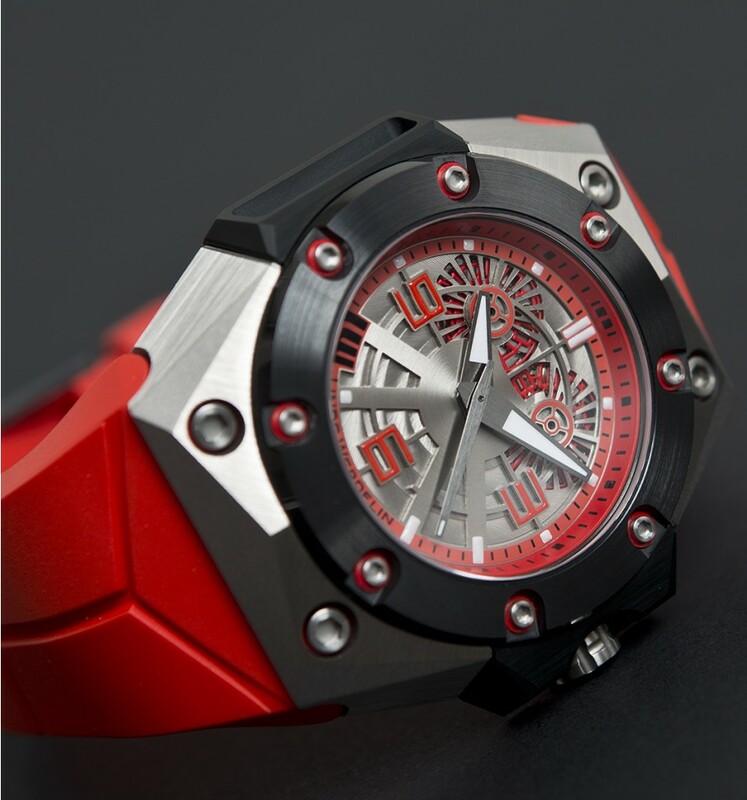 Oktopus II Double Date Titanium Red like the original Double Date Series intentionally dispenses with a turning bezel as the information (time spent submersed), traditionally measured by a turning bezel, is available in the Reef (dive instrument). 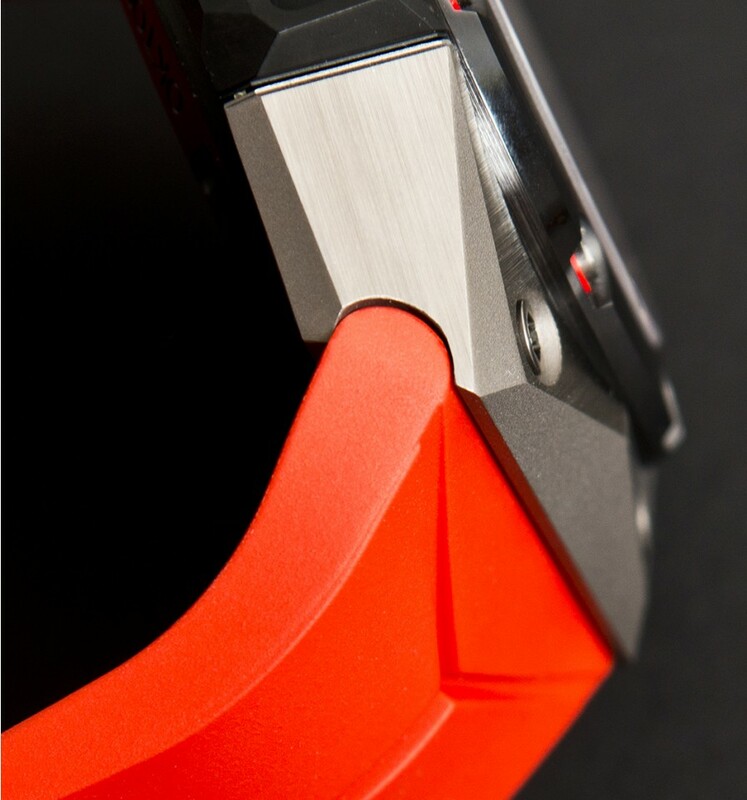 While the fixed bezel is crafted in ceramic, employed for its highly scratch resistant properties, it is given a circular satin finish with a polished facet on the outer side conceiving a lavish and charming effect under the light. 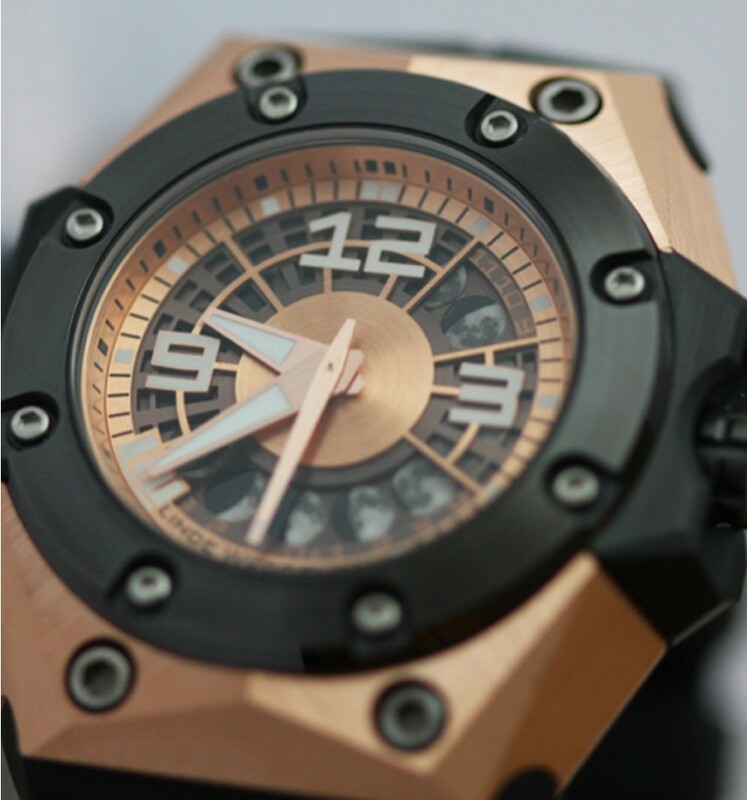 The robust crown at 3 o’clock bears an engraving of an octopus icon. The back case has been decorated with an octopus drawing by Morten Linde. 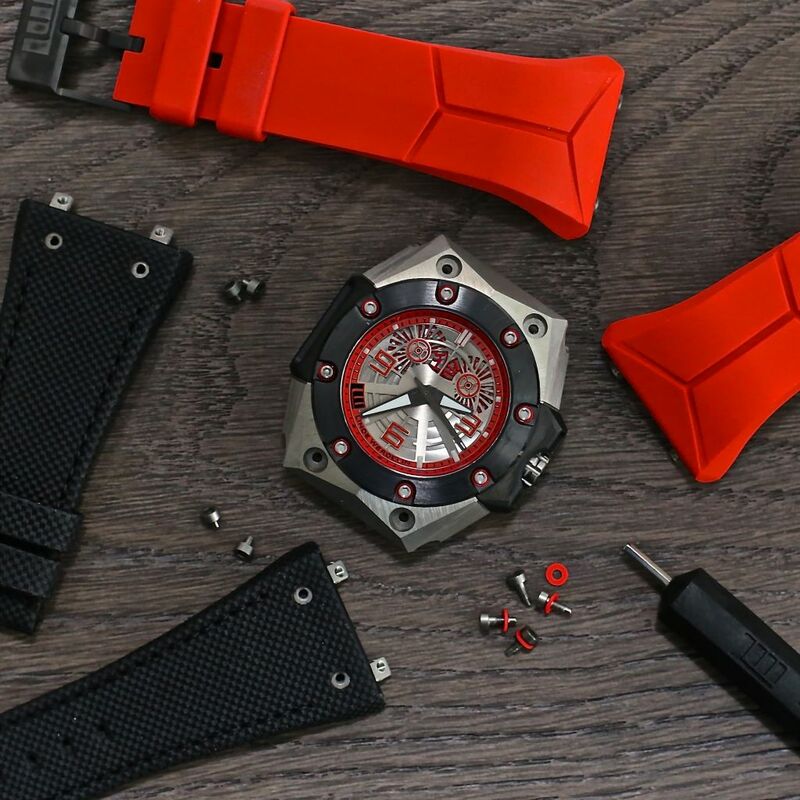 The dial of Oktopus II Double Date is built in two layers. 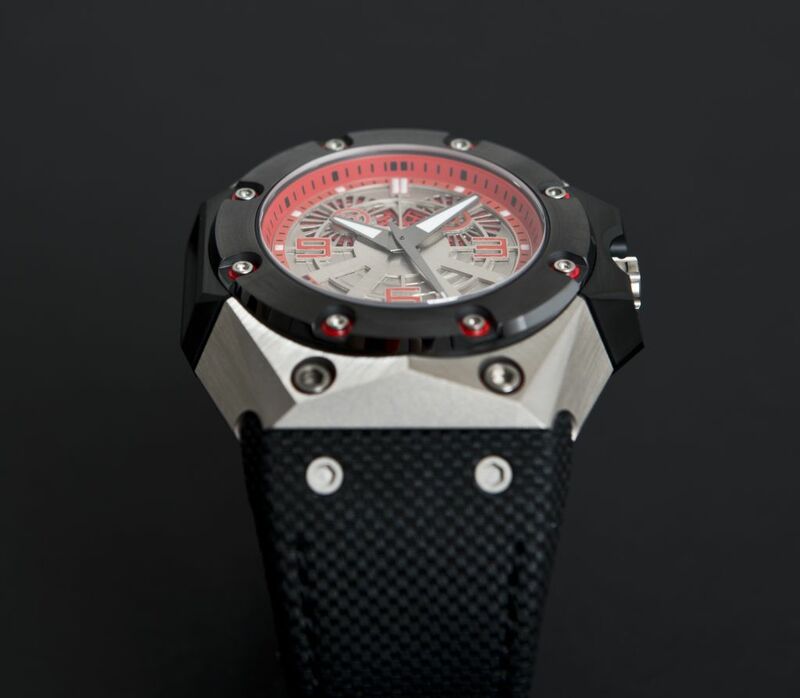 The lower layer is made with a circular Cote de Genève dial to give the effect of water ripples. 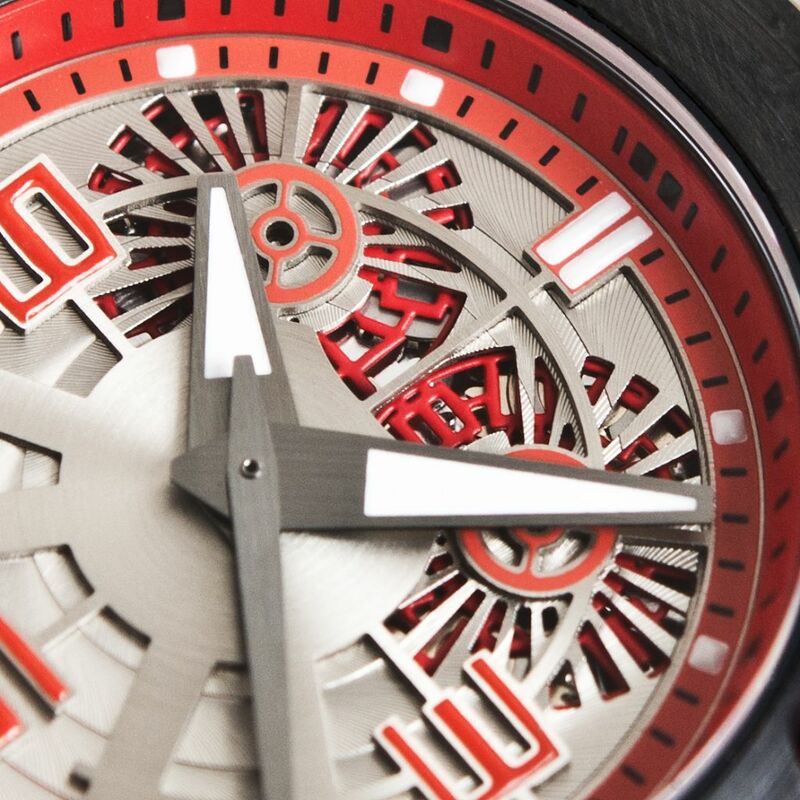 Two laser-cut red wheels at 11 and 1 o’clock are powered by the big calendar complication. 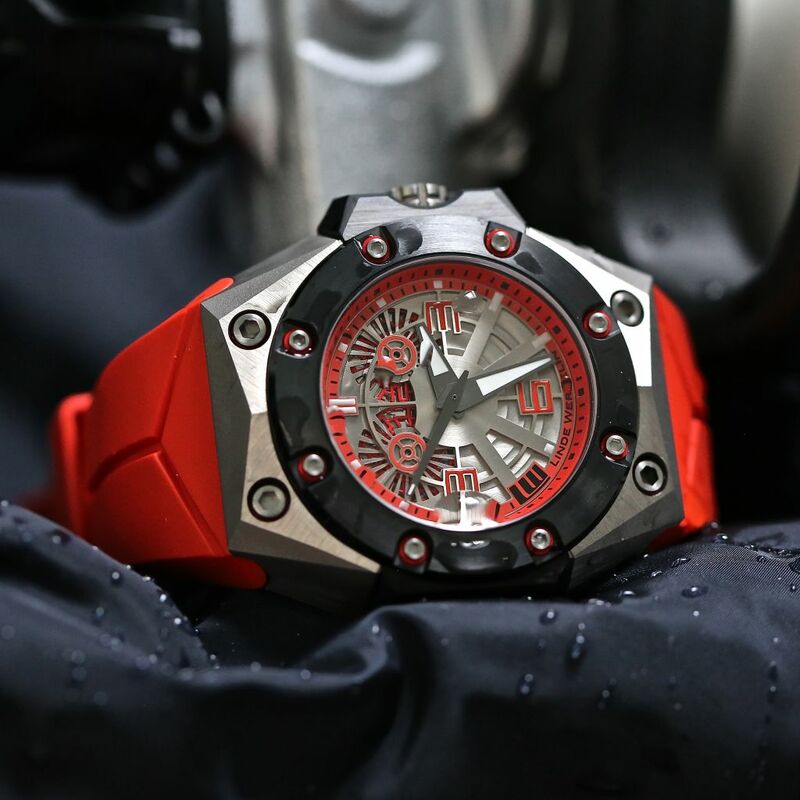 Titanium colour is introduced for the first time on the dial of Oktopus II Double Date, to best highlight the finishing and the contrast between the red details and the black ceramic bezel while conceiving further depth to its widely open dial. 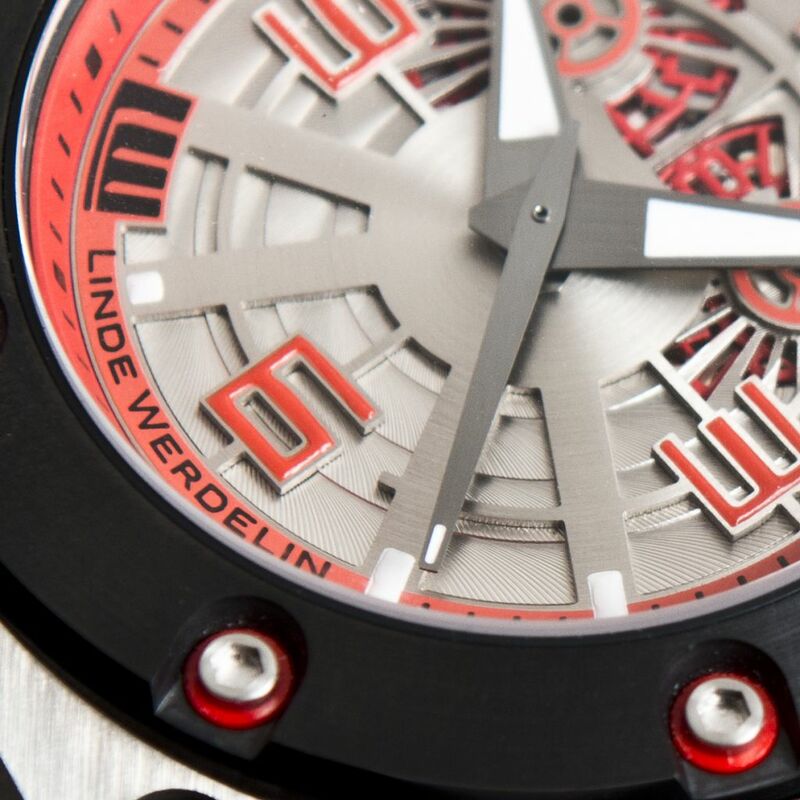 Bearing the LINDE WERDELIN logo and indexes 3, 6 and 9 in superluminova, together with the big calendar wheels, the upper dial reveals the icon of an octopus. 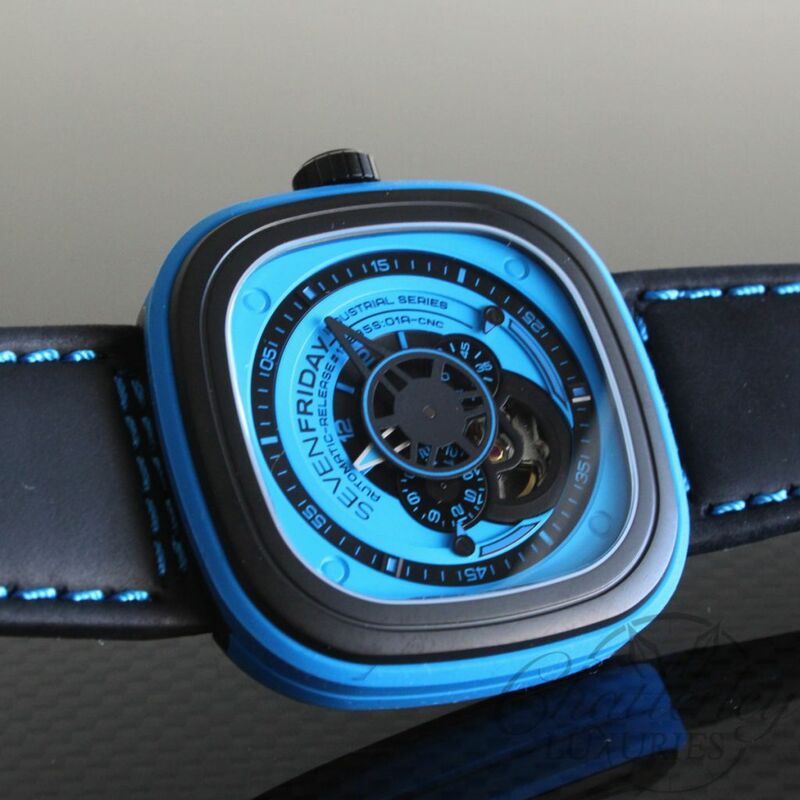 As you can see in the pictures, this watch is very versatile. 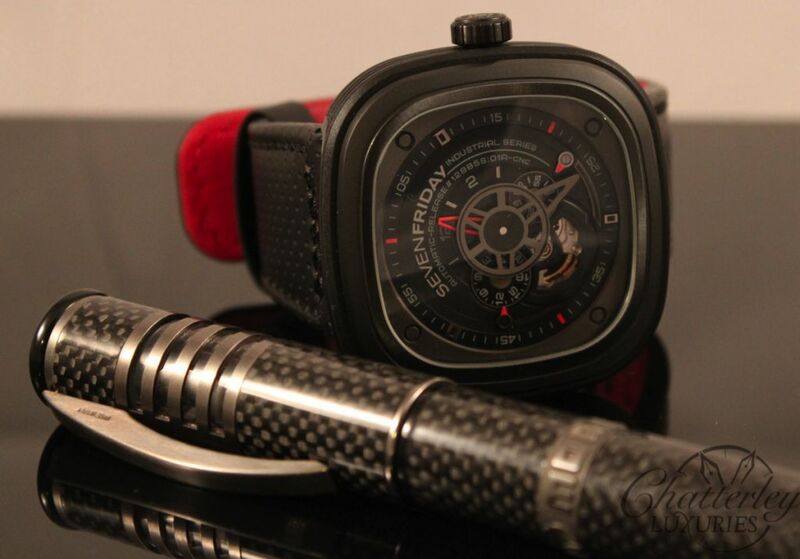 Both the Black Rubber, Red Rubber and Textured Calf, all three are in stock and available for this watch.